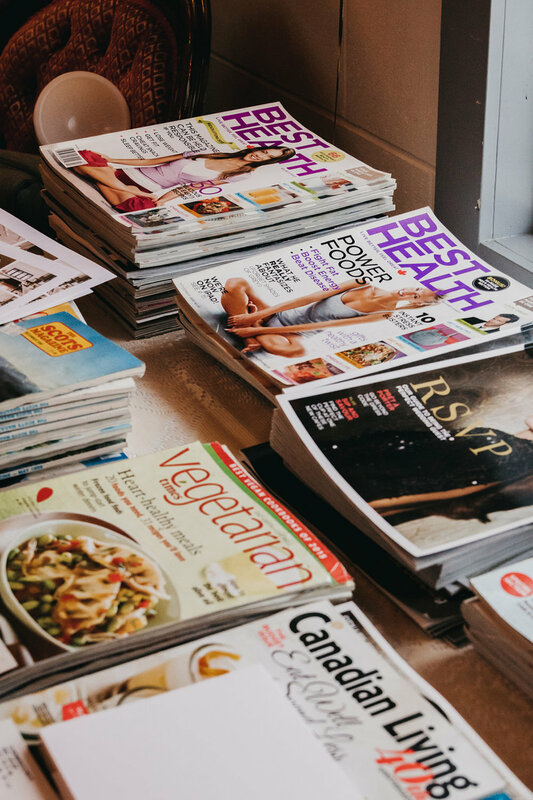 A vision board is a powerful manifestation tool that will help inspire, motivate and drive us to the direction of what we desire. When I first came to Canada knowing nobody but my parents, the one thing that really helped me to not FEAR the unknown is knowing that it was up to me. That I get to co-create the future for myself. I dont know what’s going to happen but I get a say in it. The only way to be able to do that is to design it for myself. I believe that we could live the life that we want simply by choosing to intentionally and consciously design it. Putting not only the dream house, dream car, dream destinations but also our values, empowering quotes, photos of people who inspire us, it helps in making the board even more effective and powerful. Because the primary purpose of the vision board is to inspire us and to keep us focused. We should have a clear and specific idea of what we want, where we want to go, the things we’d like to accomplish. The values our next level self embodies. The experiences, feelings, possessions, state of being that she has. 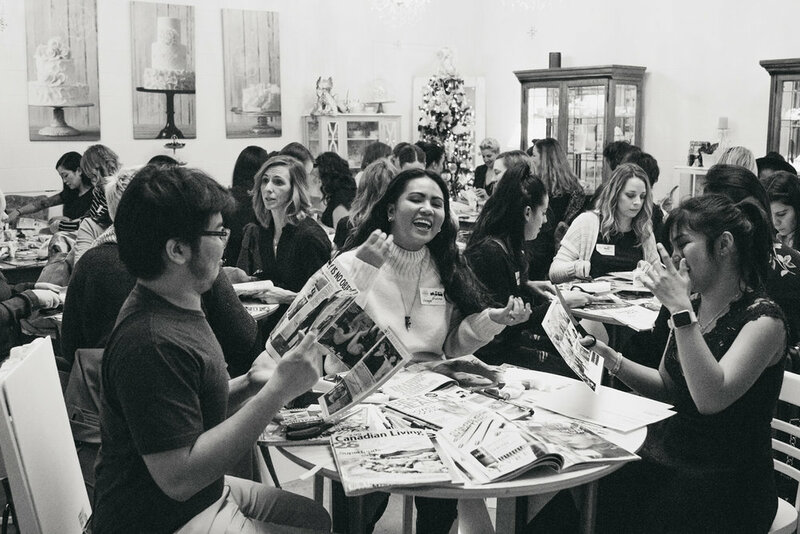 I feel lucky to have been able to create mine alongside a group of women during Women With Vision, a vision board party I hosted at the beginning of January to kickstart the new year! Most of the girls were creating their FIRST vision board so I made sure to give them the best resource since I created mine a year ago. These 7 Life Areas method is what Tony Robbins uses for Date with Destiny when he lets his attendees create their own life boards. I loved how he divided several life areas in a different way than most people. This really got me thinking what matters first and to actually consider other sides of life and not just the usual (goals, destinations, bucketlists, etc). 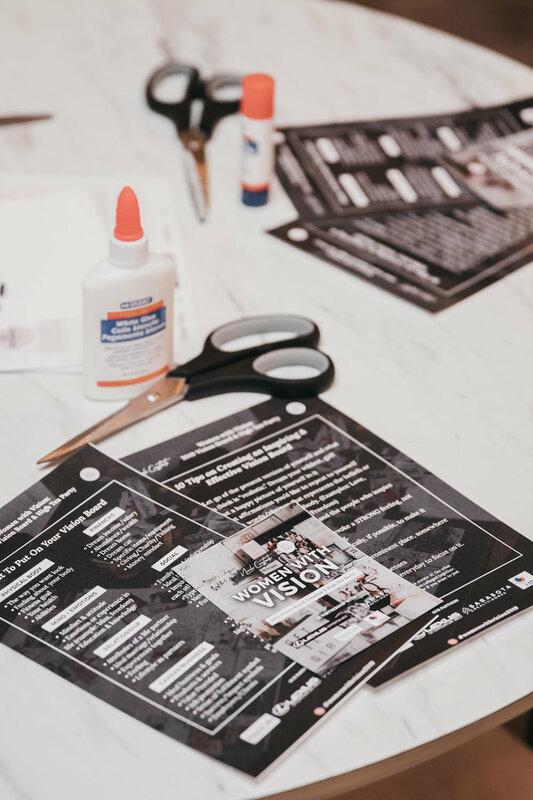 I also created a PDF guide for creating your first vision board! It contains lessons I learnt while creating my first vision board. Some from my visualization exercises that taught me what I connected to most, and others I learned recently as I compiled photos for my new board! It also has these 7 life areas I’m going to be talking about in this blog! YOU MAY DOWNLOAD THE PDF GUIDE BY CLICKING THE PHOTO BELOW. This may include way you want look, how you want feel about your body, a fitness/weight goal. What do you want your health to be like? Every part of your body should be operating at its peak. Our body is the vehicle with which we do things so it is important that we start to determine how we want it to be and our relationship with it. There are many outside factors that we don’t have control over but for most people, our body and health is something that when we have enough discipline and determination, we can control it. This can include attitude, beliefs that will determine your behavior, emotions or your experience in life (example: bliss, ecstasy, peace) and of course, your mindset and education. This may be represented by words or symbols. For example, you would like to acquire more knowledge on business, you may put a picture of a bookshelf, or personal development books. Or for happiness, it can be a picture of someone happy and thriving. This particularly pertains to our life partners. The most important decision you’re going to make in your life is who you’re going to share your life with. Other relationships such as family will be in number 6. But for now, what’s the kind of relationship that you want? More than physical attributes, we should also set standards on what kind of principles, values and mindset they have in life. I learned that when you don’t share the same values, it’s never going to work and you’ll spend days secretly hoping they’d change. What kind of marriage do you want? What kind of experiences and lifestyle would you like to share and have together? I think my current vision board is mostly filled with this one. Haha! This is my favorite part and for my current stage in life and for the future that I want, I feel like it’s just right that this is one of my top priorities. This is also something that I took my time curating pictures for especially as a multipassionate like me who literally wants 700 things at once. It is important fo rme to be as specific as possible but at the same time, allows freedom for my everchanging heart. If you’re an entrepreneur or are aspiring to be one, this can have our business goals, products you want to create or services to offer, how will you provide value. It can also have symbols for a sense of fulfillment, how you are learning, job promotion, location independence, etc. This is the most famous part. Haha! Finances and money in general. This can be about your dream income but not just the amount. You may also put pictures that symbolizes what you’re going to do with that money or the things it allows you to have such as material possesions, dream home, dream car, designer items, equipment. It can also be about travel destinations on your bucketlist and other experiences that can symbolize wealth and abundance for you! For my new vision board, one of the things about finances that I put was my giving goals. I remember an experience where I only realised I reached my monthly income goal was when I was counting my tithes. It was the best feeling ever! Like, I forgot I set that (aka detachment!!) and then it came. That “YES LORD! We did it!! !” feeling is the best feeling ever and it’s super nice to have felt like I’m business partners with God. I want to partner with Him on everything. Who we surround ourselves with determine the course of our life so it is important that we become aware of the people around us. This area may include your network, your friends, and of course, your family. What’s your relationships like? What kind of people are they? What kind of impact do you make on each other’s life? What are the activities you do together? I really want to have a girl bestfriend. Like, you know the ones in movies where you share literally everything and are super goofy around each other? That’s what I want. Haha! In my vision board, I put a picture of two girls working out together and having fun. LET’S GROW TOGETHER, GIRLY. And of course, this includes your hobbies and the ways you nurture your inner child! What are the fun stuff you want to fill your life with? Although when you love what you do it never feels like work, you should also have other hobbies and experiences that fill you with joy. Do you have new experiences in your list? Restaurants, places.. (Not even) the sky is the limit! We’re not human beings having a spiritual experience. We’re spiritual beings having a human experience. Our vision should include things and experiences not only of the physical realm but also of the spiritual one. You may put your relationship with God, alignment with your higher-self, self-Mastery and awareness, meditation and prayer practices you would like to stick to. It is also nice to have your values and beliefs up on your board to set a reminder of why you want these things and what grounds you. 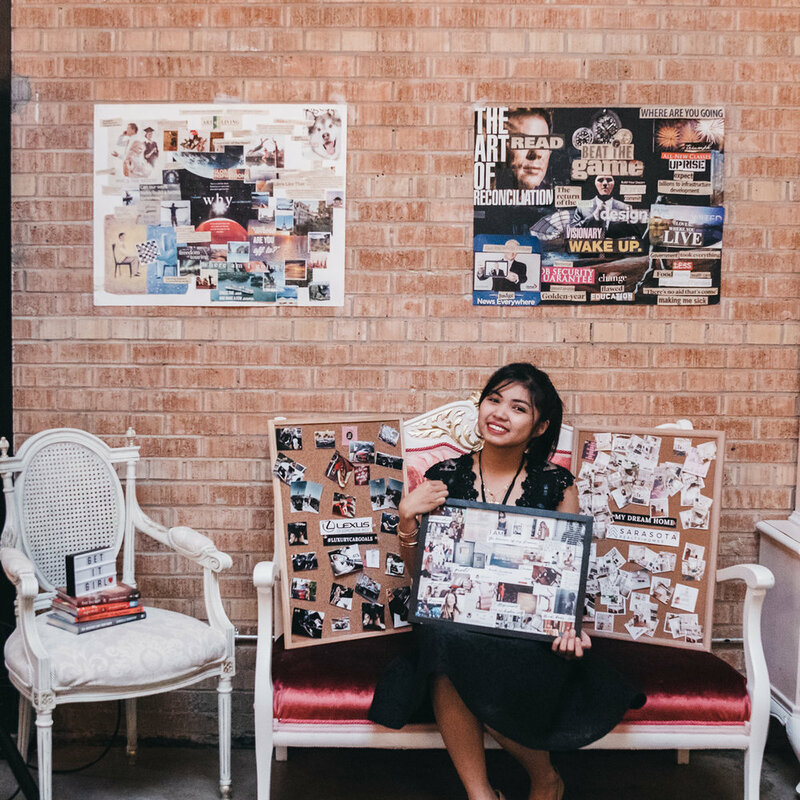 I hope you have fun crafting your own dream board!